Hello and welcome to Engel & Völkers Big Sky Country. Our careers page that will tell you a bit more about the firm, our philosophy and applications when it comes to brokering real estate, the types of agents we are actively looking for, and benefits of being involved as an associate at Engel & Völkers. 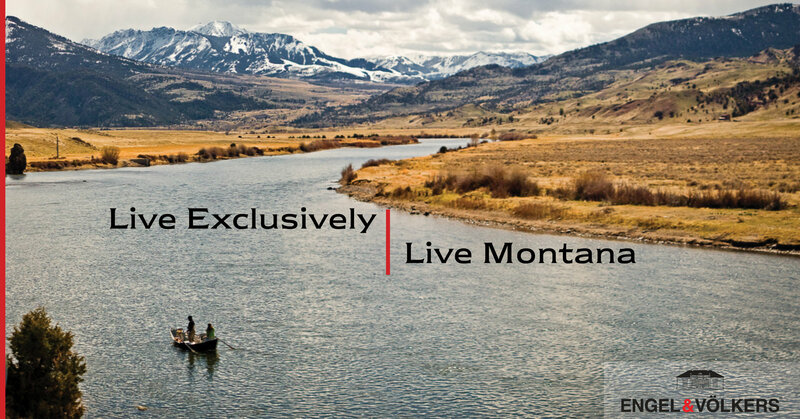 Engel & Völkers Big Sky Country is a high quality, personal (boutique), and innovative real estate services firm, brokering real estate property in Montana and internationally. We want our clients to feel involved in the process and learn something as they look to the successful selling or purchase of real estate. Engel & Völkers Big Sky Country was born from constantly seeking to fill voids with a service that is both cutting edge (innovative) and at the same time, very personal – like being fitted for the perfect suit or dress – and tailored towards clients and where they are in their life cycles. The Founders represent a variety of expertise in the industry from sales, to marketing, to quality control, management, information technology, and beyond. Read more below the video! Engel & Völkers is one of the world’s leading service companies specialized in the sale of premium residential property, commercial real estate, yachts and aircrafts. Based in over 700 locations in total, Engel & Völkers offers both private and institutional clients a professionally tailored range of services. Leasing, sales, consultancy and valuations form the core competences of the staff of more than 8,500 employees. The company is currently operating in 34 countries on four continents. Experienced agents who want a new and fresh environment and who enjoy providing higher end, quality real estate service. Newer agents who enjoy the same high quality atmosphere and feel and who may like being coupled with an experienced agent. If this sounds interesting to you, please give us a call at 406.404.1960 and/or fill out the contact form below and we will get back to you, promptly. Thank you for taking a few moments to look over Engel & Völkers Montana and find out more – we appreciate your time and considerations.